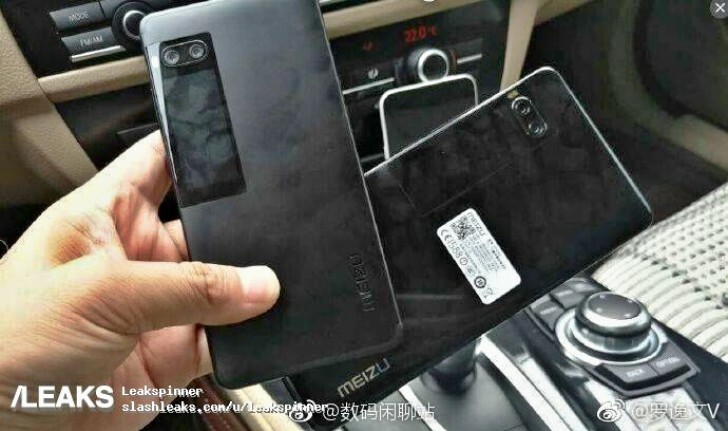 The rumor mill has really taken a liking to the Meizu Pro 7 and Pro 7 Plus. We definitely get the hype, the phone appears to feature an interesting take on the second display concept, as well as a true flagship-grade specs sheet, including MediaTek's new Helio X30 chipset. Going through the latest Meizu Pro 7 news in no particular order - first up, we have a new live shot of the device with a black finish. While we already suspected Black would be among the color options, most leaks so far have featured the device in gold or red. The all dark paint job definitely suits the handset and especially the curvy, black bezels, around the secondary display. It is also worth mentioning that the unit in the background of the shot looks to feature a reflective surface, pretty different from the matte finish on the front one. Could it be glass? Frankly, it is really hard to tell from this angle. The second phone could potentially be the bigger Pro 7 Plus as well. The angle just makes it impossible to tell. Enter the 3D render video that also showed up online recently. 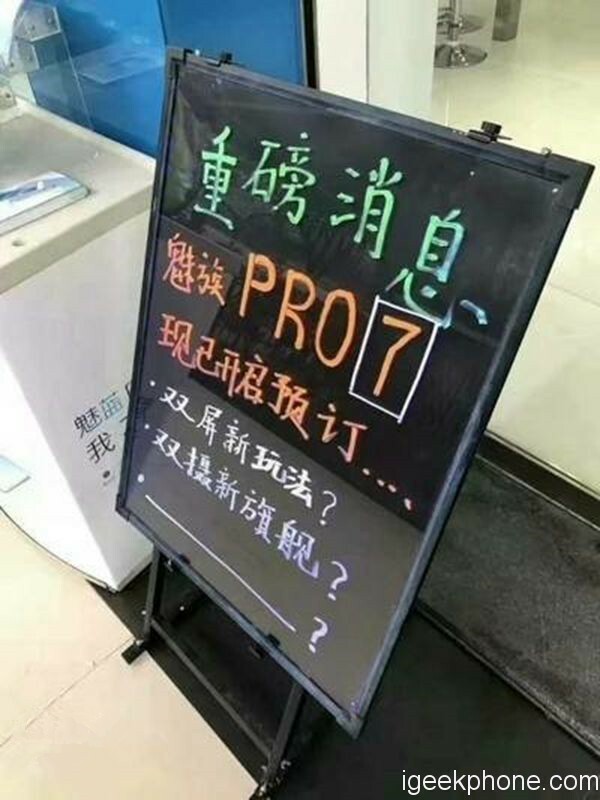 It clearly depicts both alleged size variants of the Pro 7 next to each other. Of course, these are based on leaked information alone, but as far as we currently know, the only significant difference between the two models will be the size: 5.2 inches, versus 5.7 inches. As for other specs, besides that and the already mentioned and pretty much confirmed Helio X30 chipset, the phones are said to have two 12 MP sensors from Sony (IMX386 and IMX286). A 16 MP shooter for selfies, and a 3.5mm headset jack will also be available. Still no word on memory, though. Last, but not least, it appears the Meizu Pro 7 is already up for pre-order in China, despite still being unreleased. This shot of a sign in front of a store in Shenzen clearly offers exactly such a deal to its customers. While a little unorthodox, this is not an isolated occurrence. Unfortunately, nobody has managed to extort some additional information on pricing or release dates from the sellers. At least not that we know of. Currently, you can pay CNY 200 ($30) to pledge your desire to buy a unit and the shop promises to sell you one as soon as it is available. We can expect pricing to start at around CNY 2,799 ($409) for the regular Pro 7, go up to CNY 3,299 ($482) for higher tier versions and between CNY 3,299 to CNY 3,799 ($555) for the Meizu Pro 7 Plus. how about back to back screen with same size same pixel and make the camera like the size of front facing cam. instead of that small screen there and what is the point of putting that ugly 2nd screen ?? another " G " Gimmick !! Actually the design is growing on me with every leak.